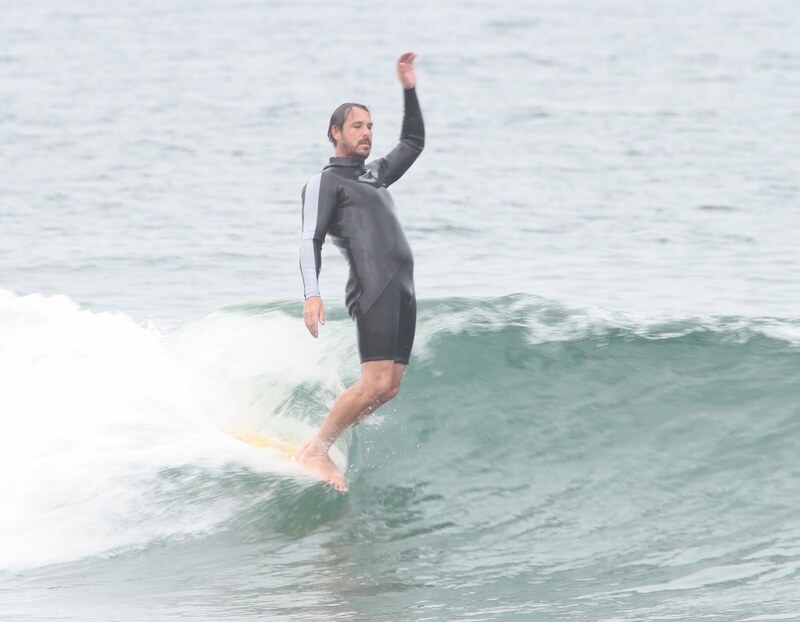 A common starting point among shapers, Tyler’s introduction to board building began in his father’s garage. 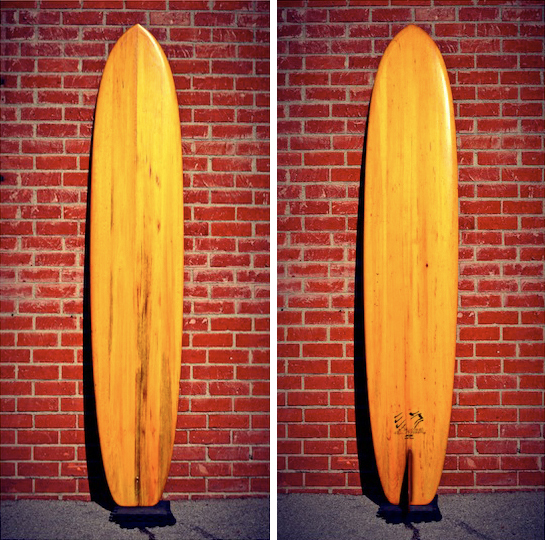 Tyler, then in 3rd grade, observed his father craft from start to finish his first surfboard, a six-foot, diamond-tail single fin. 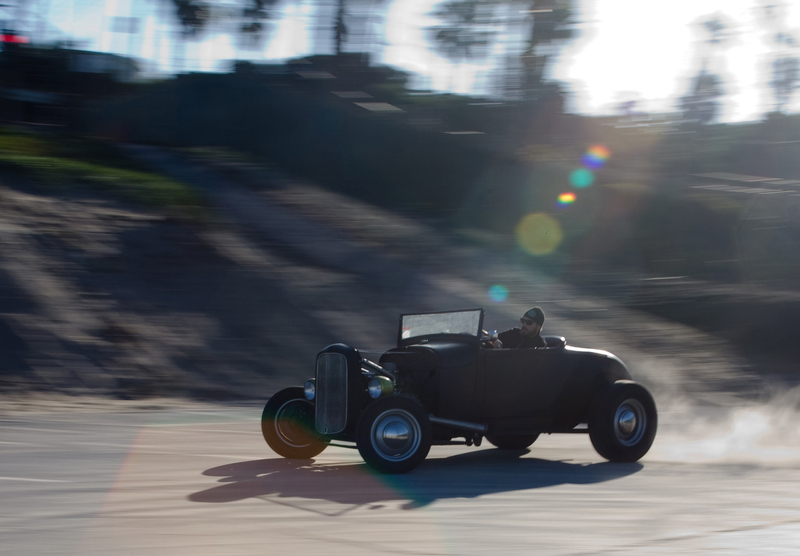 Aside from his passion for surfing, Tyler’s family history of hot rodding inspired him to utilize his knack for working with his hands and focus his intense attention to detail into rebuilding and restoring kustoms, hot rods, and classic cars. 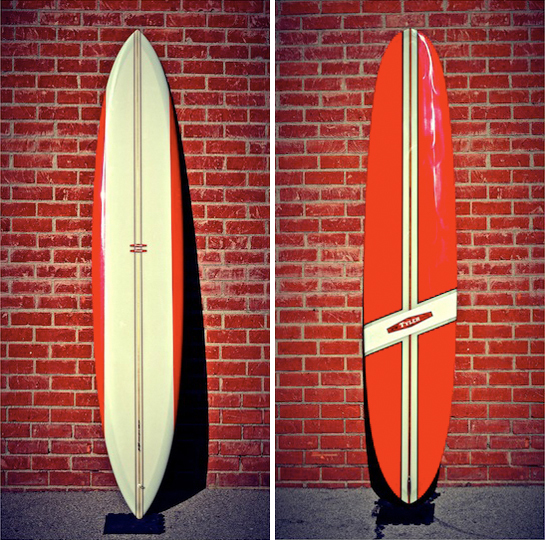 It was not until his passions began to meld, his quest of building traditional surfboards started to materialize. Being consumed by classic cars and inspired by the culture around it, led Tyler to wonder, what surfing was like back in the era when his car projects were contemporary?